Reshuffled Slovak Government Wins Confidence Vote in Parliament - Integration Through Media ....! 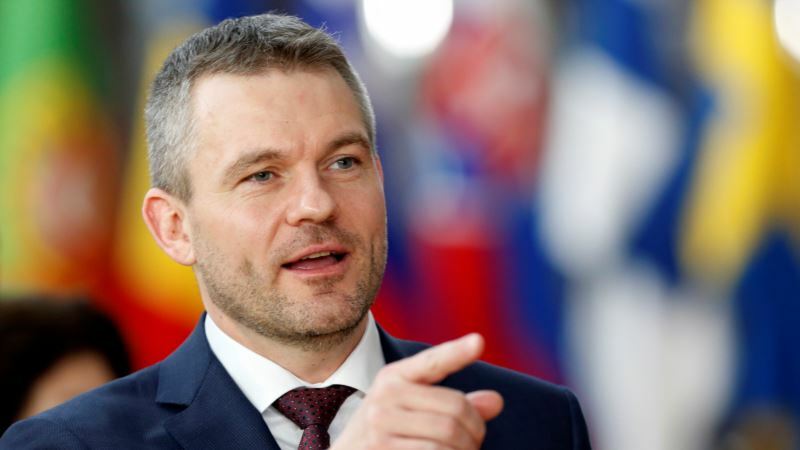 (VOA): A reshuffled Slovak government led by Peter Pellegrini won a parliamentary confidence vote Monday, a month after the murder of an investigative journalist sparked mass protests and forced long-serving leader Robert Fico to resign. The new cabinet has adopted its predecessor's agenda, including plans to reach a balanced budget by 2020. It underwent six personnel changes but only added two people who have not previously held any government post. Fico had sought to position Slovakia — a country of 5.4 million that is a European Union member since 2004 and part of the eurozone monetary club — as a pro-EU bastion in a euroskeptic region. Kuciak, 27, and his fiancee Martina Kusnirova, 27, were killed last month at their home outside Bratislava. A prosecutor said on Monday the murder was likely to have been a contract killing. No one has been charged in the case. Their killings and Kuciak's last report, which investigated suspected mafia links to Italian businessman in the central European country, swelled public anger over alleged corruption. In his final report, published posthumously, Kuciak said one of the Italians had past business links with two Slovaks who later worked in Fico's office. The Italian was briefly detained in the investigation with six others. He was taken into custody March 13 in an unrelated case of suspected drug trafficking. Both of Fico's aides have resigned but deny connections to the murder. Their Italian former business partner has denied having connections with the mafia and the murder. Pellegrini's government, which includes the ethnic Hungarian centrist Most-Hid party and center-right Slovak National Party, has already faced public protests though their numbers have fallen. Hundreds protested outside parliament before the vote. Protesters regard the cabinet shuffle, in which former health minister Tomas Drucker replaced unpopular interior minister Robert Kalinak, as insufficient to safeguard a fair investigation of Kuciak's murder. Smer was often a target of the reporter's journalism.